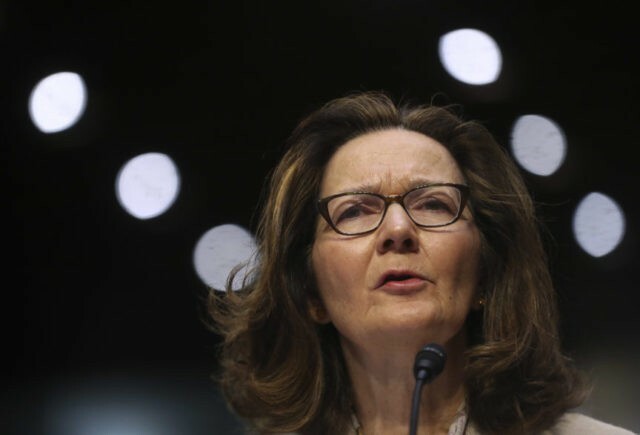 WASHINGTON (AP) — President Donald Trump’s nominee to be CIA director said Wednesday that she does not believe torture works and she would not carry out any presidential order she thought was immoral. Protesters shouting “Prosecute the torturers!” and “Bloody Gina” disrupted the hearing several times, and police escorted them out of the room. Haspel was stone-faced throughout. Haspel said the spy agency learned “tough lessons” from its use of harsh detention and interrogation tactics on terror suspects after 9/11.